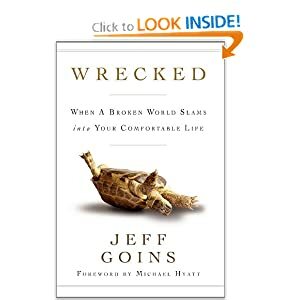 I recently had the pleasure of reading Jeff Goins book “Wrecked”. I have been following his blog for a couple of months now, and I am always inspired by what he has to say, so it was an obvious decision to take another chance to be inspired by him. In his new book “Wrecked”, Jeff tells us what it means to be wrecked and how it happened to him. More than that though, he tells us what comes after your wrecked moment. The concept of this book is about choices. 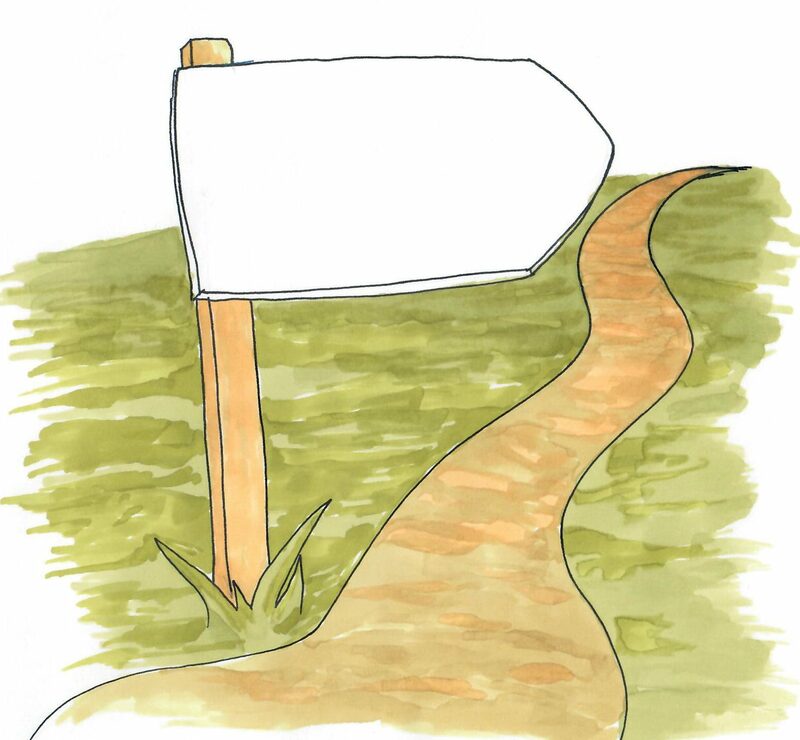 When we encounter the needs of other people, we have a choice; we can either break out of our comfort zone to do what needs to be done, or we can walk away and pretend we never saw anything. Jeff gives some interesting examples of the times in his life when these wrecked experiences presented themselves. His stories are inspiring and relatable. One of the best things about this book is he makes it clear that you don’t have to do some grand gesture or ministry to fulfill your calling. In fact, sometimes what we are called to do are the mundane things that don’t seem as thrilling. This book will definitely motivate you to look for opportunities around you. The only bad part about this book is that it can make you question how you’re living your life; then again, that might not be such a bad thing. “Wrecked” is definitely worth reading and sharing with someone else. 1) What inspired you to write “Wrecked”? I wrote Wrecked because I felt like it was a book that needed to be written. As part of the work I do for Adventures in Missions, I see LOTS of young people who are having radical, adventurous experiences. This generation knows it was intended for great things, but nobody is telling them how to commit to worthy causes. In other words, I wanted to see a book about what to do after you get wrecked (i.e. get your world turned upside-down). I couldn’t find one, so I wrote one. 2) Who inspires you to live the wrecked life? How so? So many people, some of which I mentioned in the book. One of the most inspiring people I know is my boss, Seth Barnes, who has mastered the art of living in the tension between daily commitments and radical lifestyle. 3) What is the greatest fear you have had to overcome to get yourself where you are now? How were you able to overcome it? I’ve struggled with fear of myself for awhile — of my gifts, my passions, my talents. It all feels so selfish to pursue a dream, but recently I’ve learned that a dream ISN’T selfish. Our dreams are given to us to serve others. So pursuing a passion can actually be one of the most selfless things we do. 4) You mention a couple of instances where you had a “wrecked” experience. For those who are not able to experience these same things, what advice would you give them? I think everyone can get wrecked in their own way. All you have to do is do something uncomfortable. We all have experiences that we’re afraid of, right? It seems that those who are living meaningful, courageous lives are pressing into those areas, not shrinking away from them. So my advice would be: press in. 5) What has been your greatest experience in writing this book? Coming home the day it was published (after a pretty crummy, stressful day) to a house full of friends. My wife arranged a surprise party, and it was just what I needed. For a night, I didn’t worry about book sales or marketing plans of critical reviews. For a night, I got to celebrate. 6) Just for fun: If you could pick any song to be your theme song for your life, what would it be? Mission Impossible theme, of course. 7) Do you have any plans for similar books? Or what are your writing plans for the future? I’m already working on my next book. It’ll be about waiting and should be out August, 2013. Jeff Goins also has some great books published to help writers, so if you are interested in those you can check them out at his blog (link above). You can also follow his newsletter with great advice for growing your blog. If you have never checked out his blog, it is one I recommend!